Buy Detel D1 Basic Phone Worth Rs 699 For Rs 349 only From Shopclues. The Detel D1 is powered by a 650mAh removable battery. 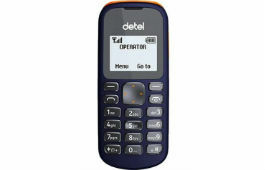 The Detel D1 is a single SIM. Connectivity options include .